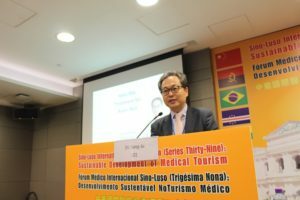 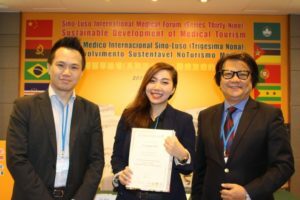 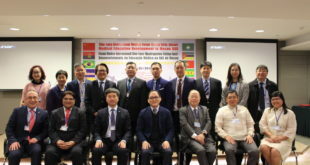 The 39th Sino-Luso International Medical Forum titled “Sustaining Medical Tourism” hosted a strong contingency of medical experts from South Korea, the Chinese Mainland, Hong Kong, Macau, and Taipei this past weekend. 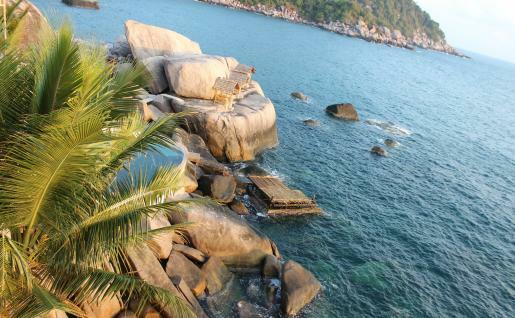 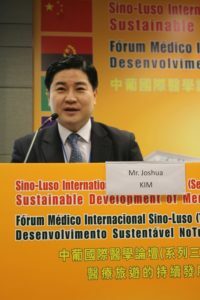 Anti-aging body contouring, and other elements of excellent sustainable medicine were brought to light. 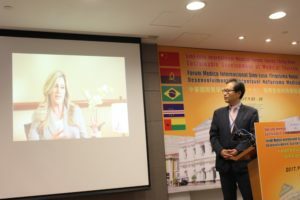 A high quality Lipolysis Workshop was held on Saturday at the Center of Excellence for Medical Professional Development, Faculty of Health Sciences at the Macau University of Science and Technology (MUST). 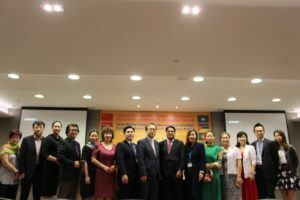 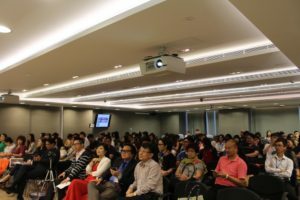 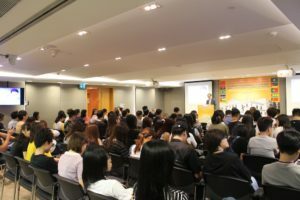 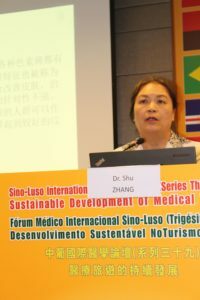 A public scientific symposium took place on Sunday at the Lecture Hall of Dr. Stanley Ho Medical Development Foundation at the Landmark. 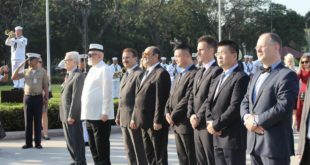 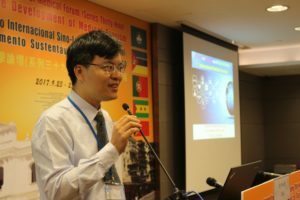 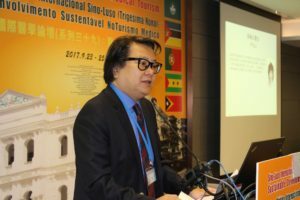 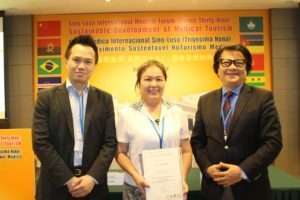 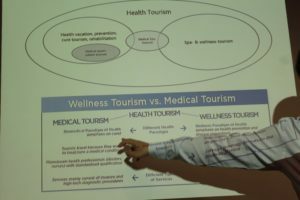 Dr. Pin Chi Chiu, Chairman of International Aesthetic Medical Center at the China Medical University Hospital in Taichung, Taiwan, outlined the challenges and opportunities the field of medical tourism is presenting. 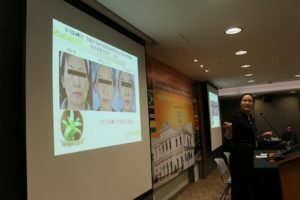 Dr. Pei Yu Mai, Dr. Guo Ling Wu, and Dr. Shu Zhang from Zhongshan gave strong talks about China’s beauty care industry, anti-aging, and laser treatments. 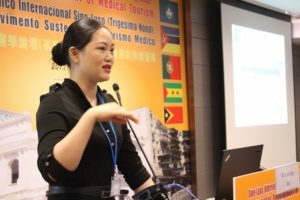 Dr. Angie Chan, a dermatologist at University Hospital in Macau, wrapped up Sunday with powerful presentation on medical approaches to medical contouring. 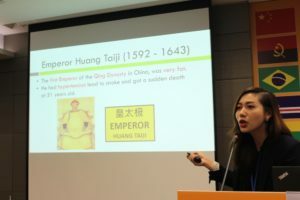 Dr. Angie Chan began with a note on diet in ancient China and the Qing Emperor Huang Taiji who died from obesity related hypertension. 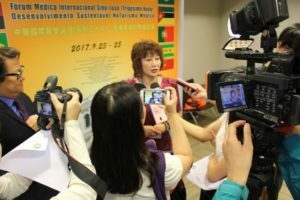 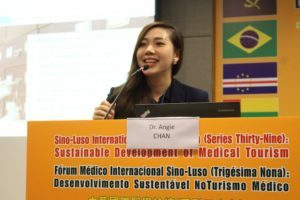 She said, “Today’s programs saw professors and healthcare providers coming from all parts of the world and sharing in Macau. 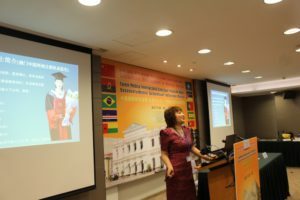 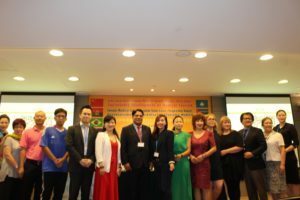 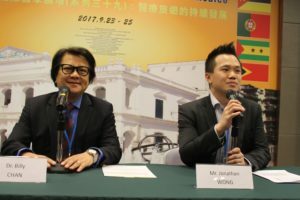 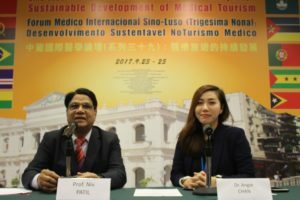 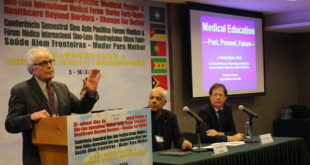 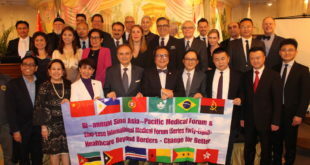 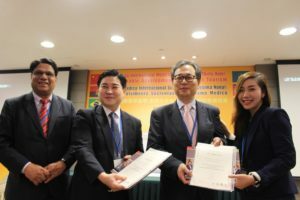 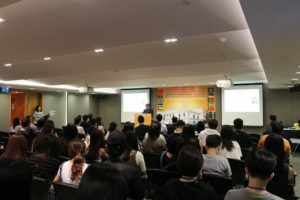 Aimed at improving medical training for Macau’s healthcare providers and for bridging international medicine, the academic programs of the 39th Sino Luso International Medical Forum were chaired by the Faculty of Health Sciences, Macau University of Science and Technology (MUST) and organized by the Macau Healthcare Management and Promotion Association (MHMPA).